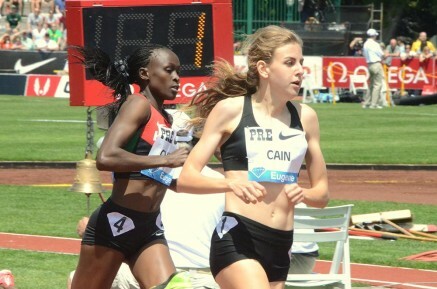 17 year old Mary Cain (USA) took 4 seconds off her World Junior 1000m Indoor Record with an excellent 2:35.80 winning performance in the NB Boston Indoor Games. Jordan Hasay (USA) placed 3rd in the 2 miles in a personal best 9:36.00 with Shannon Rowbury (USA) coming back from injury to place 5th in 9:52.16. At the British Indoor Championships Jemma Simpson (GBR) won the 1500m in 4:14.68.